A cricket primer for America ahead of the World T20 final on ESPN2 - No Sacred Cows! A very unfamiliar program will greet you this Sunday morning when you turn on ESPN2. Instead of the dulcet tone and canned notes of John Saunders or the 732’nd breakdown of the Final Four, you will be greeted with cacophony, terrible play-by-play and references to tracer bullets. You may also be greeted with loud, pouring rain. For Sunday is the day when for the first time ever, a cricket match will be telecast live on a major American sports network. 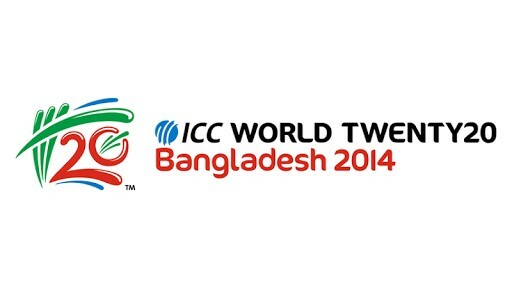 The World T20 final is live on basic cable at 9 AM EDT on Sunday!!! ESPN has steadily increased its coverage of India’s most popular game starting with live updates and previews on the front page of the website during the 2011 World Cup final (A World Cup final that was of a different format and is more important and very different from Sunday’s World Cup final. We’ll get to this later) and then showing the previous edition of the T20 World cup final on tape delay on TV to now showing the whole friggin’ game live. I am 33 years old and cricket has already given me a lifetime of joys. Here below is a quick primer for the unfamiliar American. Hopefully it makes you want to stay tuned for the entire 3 hour broadcast and turns you into a cricket fan. 1. There are three primary formats for the sport that is played mostly between 9 nations and a made-up one called the West Indies. The longest of these formats lasts up to five days at a time and has been in vogue since 1877. For reasons unknown to man, games in this format are called tests/test matches. These games are actually a lot of fun but it will take longer for this version of the sport to gain relevance in America than it did Solomon Northup. The most popular format is the One Day variety that lasts approximately seven hours and has been around since about the start of ‘Monday Night football’. Until a time when the Red Sox were afflicted by the Curse of the Bambino, odds were that this would be the format that evangelized and seduced Americans but a skimpier sister who would only take three hours to put out stole its thunder and is now here to stay. The skimpier sister’s name is T-20 and what you will be watching on Sunday is the climax to its most recent World cup. Clear as mud? 2. The T-20 World Cup is being held in Bangladesh which is to international cricket what the Jacksonville Jaguars are to American sports. Bangladesh is mostly irrelevant, mostly incompetent and gets to host the odd event that in turn helps get their vote in favor of whatever the league’s Dallas Cowboys want. In reality, India are the Dallas Cowboys of the cricket universe and the president of their cricket board N. Srinivasan is a Botox-free Jerry Jones but we can get to that story another day. India will play Sri Lanka in the final. Weather and the playing surface play a huge role in all formats of cricket and the conditions in Bangladesh are similar to the conditions in India and Sri Lanka which makes it no surprise that India and Sri Lanka are the last two left standing. These two teams neither have a historic rivalry nor do they hate each other. If anything, they play each other way too much in many-a-meaningless match that in many ways this is the most boring matchup you could have gotten for a final. You are welcome! 3. A T-20 game is split into two innings in the same way a baseball game is split into 18 (You see what I did there? Cricket fans don’t say top-of and bottom-of and deny the existence of the half-inning). Teams are part of a coin toss where the winner of the toss gets to pick if they want to pitch first or bat first. Late evening dew has made batting late a better proposition in this tournament. Expect this fact to be drilled into your head a few more times during the game. Once the toss is done, what you will watch is eleven batters of one of the two teams face 120 pitches from 5-7 pitchers where each pitcher cannot throw more than 24 pitches and not more than six pitches in a row. Also in cricket, the pitcher runs in from anywhere between 5 and 50 yards. The eleven batters will attempt to score as many runs as possible via hits between and around and over nine outfielders. Each batter however can be dismissed or be out once which then makes him not a batter for the rest of the game. As soon as the 120 pitches are done, teams swap roles and the team with more runs at the end wins. Any fan of the sport will tell you that there is considerably more nuance to what I just described but will confess this is kind of all you need to know. 4. Enjoy each pitch! Cricket fans call each pitch a ball and the pitchers as bowlers but who cares? Cricket’s bowlers deliver the ball over 22 yards with exceptional variance in speed, style and angles unless their name is Vinay Kumar. A good way to kill time during the game is to imitate the action and stride of the bowlers you see on-screen. Don’t hesitate to really roll that arm over. 5. Enjoy each hit! Cricket’s hitters are called batsmen and the top of the lineup typically has better batsmen. These batsmen pick up the speed and deviation in the air and off the pitch to guide the ball along the ground and in the air away from fielders. They do this with great hand-eye coordination, nifty footwork and rules skewed to favor their tribe. A good way to kill time during the game is to drink a shot every time silly analogies are used to describe what the batsman just did. “Tracer bullet”, “meat of the bat” and “flashed hard” are just some of the terms used to describe otherwise normal movements of the batter. 6. The median cricket game has more stoppages of play and commercial breaks than the median American anything. Use the gaps wisely to refill your brunch bowl, use the bathroom and to google the terms “googly”, “chinaman” and “N Srinivasan”. If you have kids tell them cricket has fewer concussions but more mosquito bites than any sport known to man and ask them if they want to play cricket. Their answer might surprise you or startle you. If your spouse wants to watch something else, tell her/him that what you are watching is something unique and rare and may never happen again on American cable television. Soak it all in and if at 11 :30 AM EDT you have an inkling of what is truly happening and who is likely to win, congratulate yourself. You now are an American cricket fan and a better human being than all your friends or neighbors. Welcome to this great sport. It comes in three flavors and offers you in return a lifetime of joys. I can promise you, that reading this blog piece is more fun than the actual game of cricket itself… no hard feelings Shyam!! !